There is nothing better than settling down with a lovely cuppa. Brewing a cup of tea is the first thing I do in the morning so when Jadu asked if I wanted to review some of their gorgeous tea, I was there! 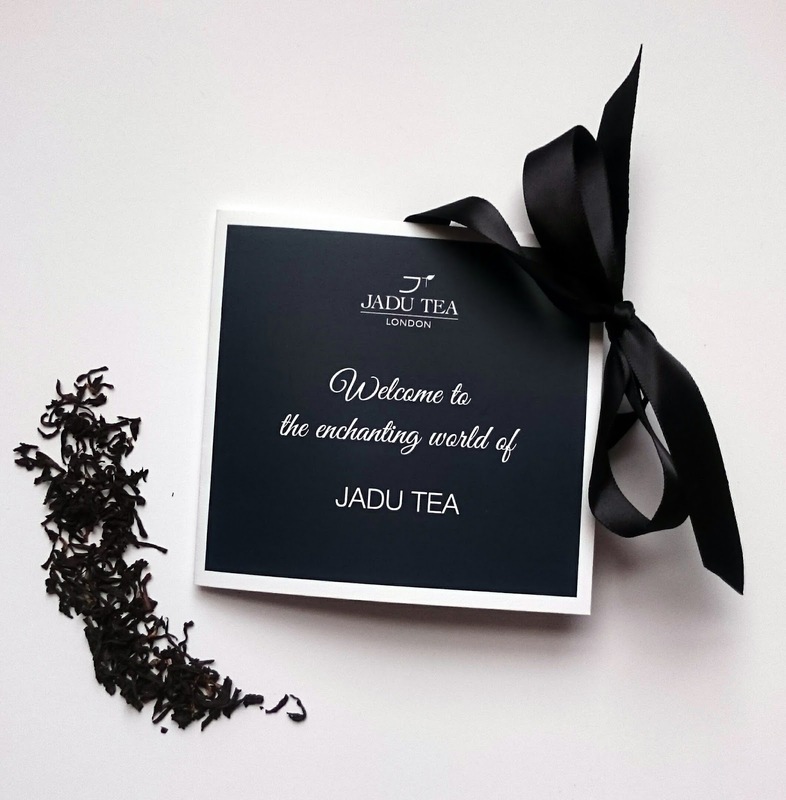 Now I must admit, I wasn't expecting the amount of tea Jadu sent me. I got such a vast variety that I really am and will be for some time, spoilt for choice. From English Breakfast to White Mango Lime and China Green to everything in between! Initially the thing that stood out for me was the quality of the packaging. I was really shocked at how well presented their tea is. 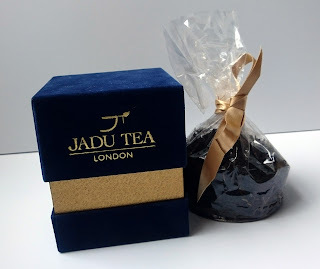 The English Breakfast tea is packed in this utterly gorgeous gold and blue suede box, complete with a gold bow inside. It screams luxury and it's exactly what you get. It's made with Assam black tea and Sri Lankan black tea which results in a silky smooth, malty and rich tea. I found it was utterly perfect with some French toast and strawberries for breakfast! I found it was perfect after brewing for around 4 minutes and a splash of milk. I was also sent a sumptuous fruit blend of Apple, Lemon & Ginger. Now I must admit I'm not usually a fruit tea kind of girl, I like them every so often but I think it's because I've never had a high quality fruit tea. This is utterly incredible. It has so much flavour and really is the perfect mid morning pick me up! I brew my fruit teas a little longer than my black as I do prefer a stronger flavour, so 5 minutes for me is perfect. 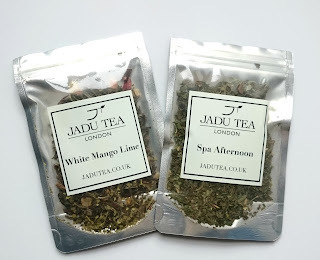 I was also sent White Mango Lime and Spa Afternoon tea! White Mango Lime tea was something I've never tried before, being a white tea it's full of antioxidants and offers amazing flavours. It contains Hibiscus, Pinapple pieces, Lime leaves, Papaya pieces, Sunflower petals and Corinths which leave you with a stunning, flavourful tea that would be perfect hot or cold. Spa Afternoon tea is a blend I've tried before and I utterly adore. Jadu have blended this Chinese Oolong tea with Spearmint, Nettle, Burdock, Dandelion and Milk Thistle to give a gorgeous tea with loads of added benefits. 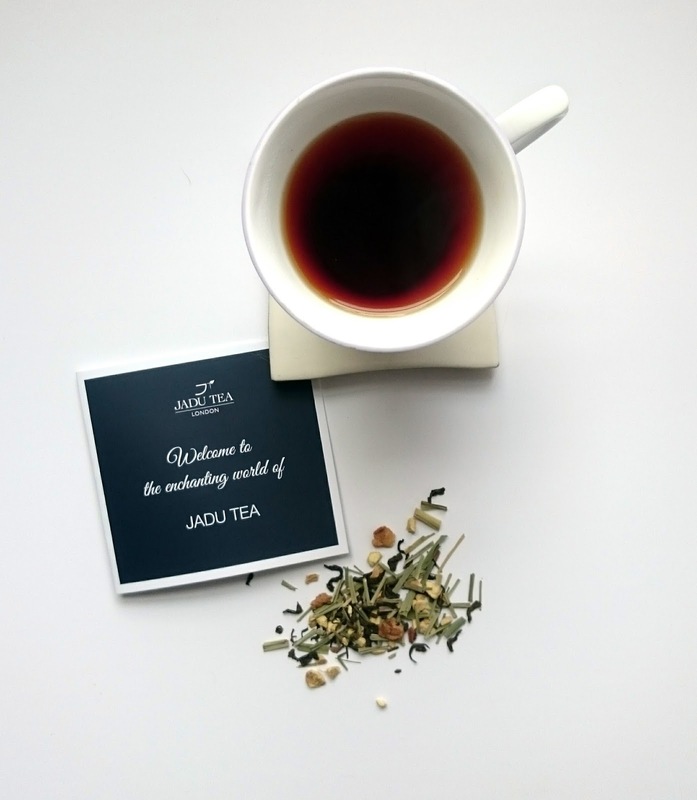 Spearmint is perfect to help digestion, Oolong is thought to help boost metabolism, Milk Thistle is known to help liver function and the Dandelion, Burdock and Nettle are full of minerals and vitamins that have traditionally been used to detoxify the blood. So not only do you get a lovely cup of tea, it's also doing you good! Finally I was also sent a selection of various tea bags. The tea bags are fantastic quality, with a lovely thick netting. I prefer tea bags to loose tea purely for ease so it's nice to know they are available. Price wise, Jadu are on the expensive side. The box of English Breakfast will set you back £21.50, however I feel it's completely worth the investment. I usually drink Fortnum and Masons tea and that isn't exactly cheap, however I would rather pay a bit more and have a proper, lovely cup of tea. If you spend £4 on a Starbucks coffee, why can't you spend 50p a serving on tea? 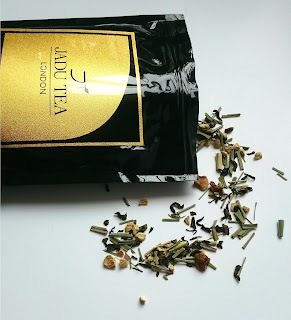 Overall, I'm really impressed with Jadu Tea and would recommend them if you love, high quality tea. They are definitely a brand I can see myself enjoying for years to come. What's your favourite tea brand? For the price you've really sold to me that it's worth the money as you compared it to starbucks! Interesting flavours!